Education Hill is the area north of downtown Redmond known for its abundance of trees and small town feel. Homes for sale in Education Hill are a mix of older and newer residences, as well as gated communities with condos. Hartman Park in the middle of the hill is a popular recreational spot, as are the area trails including Powerline Trail and the Sammamish River Trail. Education Hill's boundaries include 2 elementary schools, 1 middle, and 1 high school, from which the neighborhood takes its name. 3 Beds | 2.25 Baths | 1800 sq. Ft.
4 Beds | 3.5 Baths | 4204 sq. Ft.
4 Beds | 3.5 Baths | 3884 sq. Ft.
5 Beds | 4 Baths | 4063 sq. Ft.
4 Beds | 1.75 Baths | 1500 sq. Ft.
5 Beds | 4 Baths | 3747 sq. Ft.
5 Beds | 3.5 Baths | 3970 sq. Ft.
5 Beds | 3.5 Baths | 3299 sq. Ft.
5 Beds | 2.75 Baths | 3010 sq. Ft.
3 Beds | 1.5 Baths | 1550 sq. Ft.
5 Beds | 3.5 Baths | 4053 sq. Ft.
4 Beds | 2.75 Baths | 3012 sq. Ft.
3 Beds | 1.75 Baths | 2210 sq. Ft.
Blue Summit Realty has the most accurate and up to date Education Hill real estate listings on the web. Currently there are 18 homes for sale, 1 condos for sale, and 1 vacant land properties in Education Hill. Of the 20 total Education Hill residential listings for sale 0 are bank owned, 0 are short sales, 0 are new construction, and 0 are townhomes. The price ranges from $774,995 to $0 with a median list price of $1,323,466 and median sold price of $1,021,981. Make sure to refine your Education Hill real estate search by property type, price, square footage, bedrooms, bathrooms and more with the search tool above or view the Education Hill listings on our interactive map. 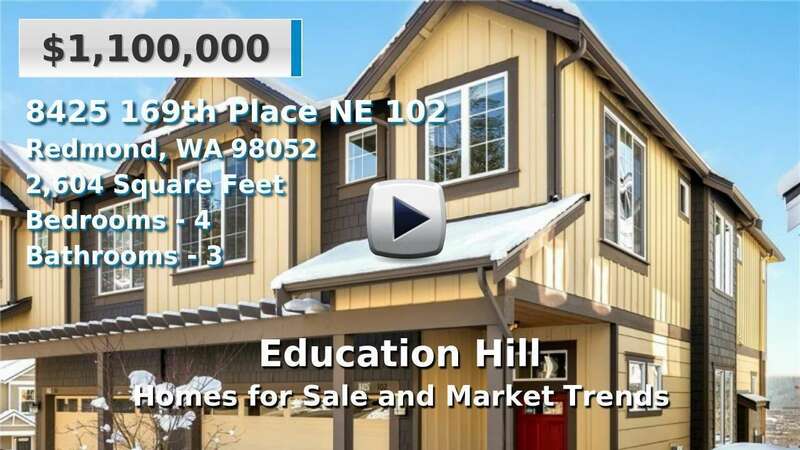 Our Education Hill real estate listings were updated 3 minutes ago.